Home » Audio , Multimedia » KXStudio and Free Software. Along with the Debian and Ubuntu base systems and the whole GNU/Linux world, KXStudio has its roots in the Free Software movement led by Richard Stallman and the GNU project. All of the custom KXStudio tools are FLOSS, as is the vast majority of other included software. As KXStudio's primary purpose is to make the installation of a GNU/Linux-based audio/visual workstation as easy as possible, a few non-free additions are included where they assist that goal. The current KXStudio ISO is based upon Ubuntu which includes select non-free software. The Ubuntu non-free software is listed in separate repositories marked as either “non-free”, “restricted”, or “multiverse”. See help.ubuntu.com/community/Repositories for more information. Also, the standard Linux kernel includes some “binary blobs” — i.e. sections that have no source available (and so hamper the freedom to modify). The main non-free software that KXStudio includes from Ubuntu is Flash Player. Many websites still, unfortunately, depend upon Adobe Flash, so Flash Player provides the smoothest user experience. Thankfully, the FLOSS standards Webm and HTML5 are becoming increasingly popular, and there is a FLOSS Flash-replacement called GNASH. Hopefully there will be less need for the non-free Flash Player in the future. Ubuntu also includes some non-free codecs for accessing proprietary file formats. Some hardware manufacturers, particularly among wireless cards and graphics accelerators, do not make FLOSS drivers for Linux but create proprietary non-free drivers. FLOSS alternatives often function well enough, and KXStudio does not include proprietary drivers. However, because the proprietary drivers often provide superior performance, KXStudio includes a simple program to install them. See the separate page on installing non-free video drivers. While all KXStudio PPA listings are otherwise strictly FLOSS, KXStudio includes non-free extras kept in a segregated repository. The packages are listed in Muon Package Manager By Origin under “KXStudio (Extra)”. In the software sources, the repository is “http://kxstudio.sourceforge.net/repo/ precise free non-free”. LightScribe support — LightScribe is a proprietary technology that uses specially made CDs and DVDs to allow users to burn direct-to-disc labels. 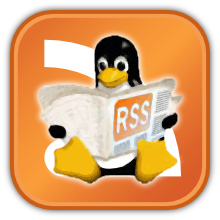 LinuxDSP is a proprietary developer of quality Linux-native audio plugins. Most of the included plugins are limited demo versions, both proprietary and also not free of charge. The developer supports other FLOSS projects, however, and is active in the GNU/Linux audio community. Loomer is another developer of cross-platform proprietary audio plugins. They have ported several of their offerings to GNU/Linux. Aspect is among the most powerful Linux-native softsynths available. All Loomer plugins come as demos until a license is purchased. Pianoteq is a piano instrument synthesizer with exceptionally advanced features and sound quality. The included software also runs in demo mode until a license is purchased. REAPER is a Windows program that has official support to run in WINE. A fully native version for Linux is in the works although it will likely remain non-free. REAPER runs as a fully functional demo which simply reminds users to buy a modestly-priced license after a trial period. Many people coming from Mac or Windows may be familiar with REAPER and want to continue using it with KXStudio. Renoise is a Linux-native “tracker” style music production program. It has a dedicated user base and offers many features. The demo is functional with the exception of song and instrument rendering. SunVox is another Linux-native “tracker” style music program. It's known for being available for a wide range of platforms including Windows, Linux, Mac OS X, Windows Mobile, PalmOS, Maemo, Meego, iOS and Android. Although SunVox is proprietary, the desktop version used in KXStudio does not have any limitations. VST plugin support — The VST format is itself proprietary, but specific plugins may be either FLOSS or proprietary. VST plugins may be either Windows-based (these function via the Free Wine software) or Linux-native. Several FLOSS programs support VST plugins. All included VST plugins, whether FLOSS or proprietary, are in the non-free repository. You can also download Windows VSTs from internet sources and use them within KXStudio, although this is not officially supported. What if I want to avoid non-free software? Specific non-free software can be manually uninstalled, see the instructions for package management. Aside from the items listed above, another way to quickly identify a good portion of installed non-free software is to install the program vrms, the Virtual Richard M Stallman. Running vrms will bring up a list of non-free issues on your system, although it does not catch everything. To remove non-free software from the package listings, choose “Configure Software Sources” under “Settings” in Muon Package Manager. There, you can uncheck the Proprietary drivers and multiverse (copyright or legally problematic) listings. On the “Other Software” tab, you can remove the Medibuntu and kxstudio.sourceforge.net repositories. If you want to use strictly 100% Free Software, there are several options. Instead of using the KXStudio ISO, KXStudio repositories can be added to any Debian-based system (which includes all Ubuntu-related systems) and you can leave out the separate non-free KXStudio repository. Debian itself is 100% Free (unless the user chooses to install extra non-free software). Additionally, FSF-endorsed distributions Trisquel (based on Ubuntu) and gNewSense (based on Debian) are also compatible with the KXStudioe repositories. Of these, only Debian is officially supported, but the others should work as well.